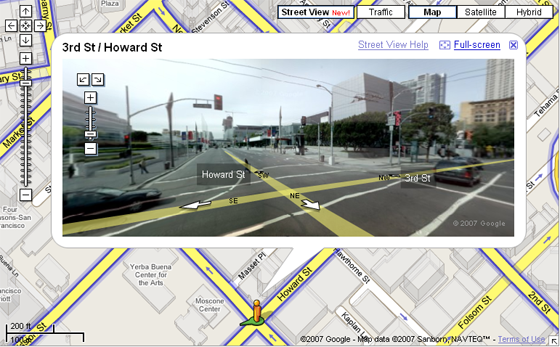 Top map competitors Google and Microsoft have both been experimenting heavily in enhancing their mapping applications. Microsoft has a similar streetside view for New York and 8 other cities, which we reported on back in February of last year. Other map visualization innovations have been birds eye view and emerging 3D products. Microsoft launched a 3D product last November. Google has since licensed 3D mapping technology just this month.